A Toronto man is suing Uber, the transportation network company, for denying him back-up coverage after his insurer rejected his claims for damages arising from a car accident. Tawfiqul Alam, like many others, was using his own vehicle while working as an UberX driver for the ride-sharing company. In June 2015, while driving a passenger, another motorist ran a red light on Queen Street and crashed into Alam’s minivan injuring Alam and his passenger. Mr. Alam is a 48 year old father who had recently begun working for Uber. His van was totalled in the collision and he suffered multiple injuries. He requires physiotherapy for the injuries to his upper body, neck and back, and has stated that he is now unable to work and has had to take out loans to support his family. When Mr. Alam made a claim to his insurer, it was denied on the basis that he had not disclosed that he would be using his vehicle for commercial purposes. Steve Kee from the Insurance Board of Canada noted, in relation to the incident, that it is important individuals understand that all policies have certain limits and regulations. Further, a policyholder’s insurance rate is determined by the specific coverage that was defined in the policy. This unfortunate situation serves to remind all Canadians to let their insurer know any relevant details, in terms of personal information and how the vehicle will be used, so that the insurer can better explain all their options. Mr. Alam admitted that he hadn’t read the fine print on his insurance policy explaining about his use of his car for commercial versus personal activities and therefore he accepted the insurer’s decision to deny coverage. Mr. Alam’s current gripe is really with Uber, who he asserts gave him a verbal confirmation that he would be covered by them in the event of an incident, but are seemingly not coming through on that promise. In a statement to the media in response to the story, Uber spokesperson Susie Heath stated that while she couldn’t comment specifically on the case, all UberX drivers are insured with liability coverage. Mr. Alam admitted that he never signed any document with the company in regard to his being covered and so there was no written agreement to that effect with Uber. Uber spokespeople have previously reported that their drivers are not required to obtain commercial insurance as UberX drivers are covered by the company’s $5 Million insurance liability coverage for personal injury and property damage. Critics of Uber have commented that while Mr. Alam’s situation is very disheartening, they are not surprised by his predicament and Uber’s failure to back him up. Scott Meadwell, of Meadwell Mowat and Fennell Insurance, was quoted saying that Mr. Alam’s only recourse is likely to hire a lawyer and sue Uber. In the meantime, it is hoped that Mr. Alam will not delay in getting treatment due to his reduced financial situation, as timely treatment of injuries for accident victims helps to prevent permanent harm to their body. Insurance policies, like any contract, are legal documents. As is the case with any legal document, there are rules, guidelines and procedures detailed, that policyholders must pay attention to, as well as understand, when we sign these documents. A failure to do so may be very costly, as Mr. Alam realized, when his claim was rejected by his own insurer for a failure to disclose his vehicle was being used for commercial purposes. The law can be a very complex maze to navigate and this is certainly true of motor vehicle accidents resulting in personal injury. Automobile insurance in Ontario is governed both by regulated accident benefits and tort (negligence) law. The Insurance Act is a substantial document which outlines compensation to which individuals are entitled regardless of who was at fault in a collision (termed ‘accident benefits’ or ‘no-fault benefits’). When someone else was responsible for a collision, injured persons may also seek compensation by suing the negligent party for damages, which is known as a ‘tort action’. When anyone is seriously injured in a motor vehicle collision or any other type of accident, it is useful to consult with a personal injury lawyer to determine your rights and whether you have a valid claim for damages. It is particularly important that this is done as soon as possible, as there are requirements and limitations for filing a claim that must normally be met. 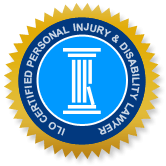 A personal injury attorney will acquire any witness testimony and other documentation that is available for the accident, and will ensure that crucial medical evidence is obtained for your case. Many injured persons and their immediate families report having felt significant stress following an accident, but once they engaged a competent personal injury attorney the stress level is typically greatly reduced. This enables accident victims to concentrate fully on their health and any personal or job-related arrangements that are required due to their injuries or changes in mobility. In the aftermath of an accident, finding the right lawyer to represent you is of great importance, but not always easy. 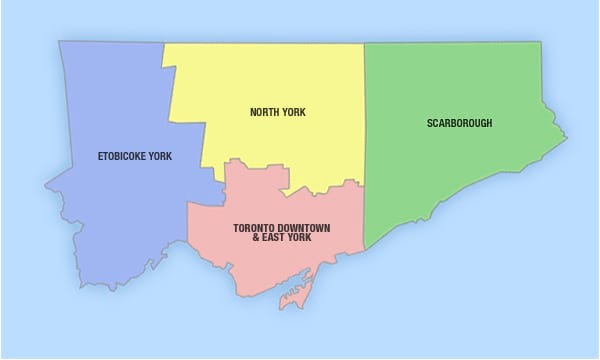 The Injury Lawyers of Ontario (ILO) is a group of select attorneys in communities throughout Ontario with extensive expertise and experience in personal injury law. Our goal is to provide zealous and compassionate representation as we pursue the best possible compensation for your injuries. We invite you to read testimonials from our clients. You can contact a Toronto ILO office online or by phone for a free consultation. We will give you an upfront assessment of your legal options and rights, and whether you have a good claim. If you decide to proceed, you will be kept abreast on the progression of your case and will never feel that you are alone in your pursuit of justice.